For a long time it was just a rumor, that Emily is the daughter of Kaldwin protagonist Corvo attano. Without spoiling, we can confirm this call. 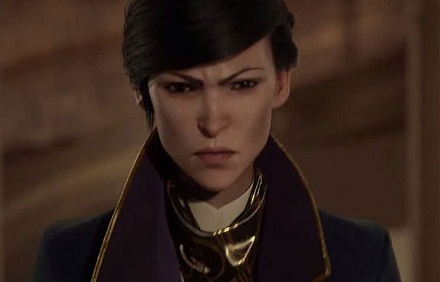 The less amazing it is probably that Emily moves into the field next to her father against corrupt politicians and criminals in Dishonored 2. Emily was 10 years old in Dishonored, you adopt the successor in the role of adult assassin who ought to be around 25 years old now. Corvo is not only her biological father, he accepts without her knowledge about these role, since there are no other male caregiver in her circle who so touchingly cares about her. As the imperial protector will eventually imprison, Emily is in great danger, because she is now an heir of the island kingdom in the crosshairs of the conspirators. The Loyalist, who had to migrate into the subsoil, planning her new placement on the throne, it is however at Corvo attano to free her from the clutches of her captors. Emily talks in her sleep and dreams of the Outsider, who gives her in the later stages, similar to Corvo and empresses murderer Daud, her character and her supernatural powers confers with which she grows in Dishonored 2 for gifted assassin. - Unlike Corvo Emily does not have the "flash" capability, allowing the assassin teleportation, but uses "Far Reach". This force of the Outsiders she misses a tendril of mystical energy with which she uses her destination in herself and can move herself. - Visible in the trailer is another ability of Outsiders, with which she turns into a kind of black cloud of smoke, with which she can interact with her surroundings.